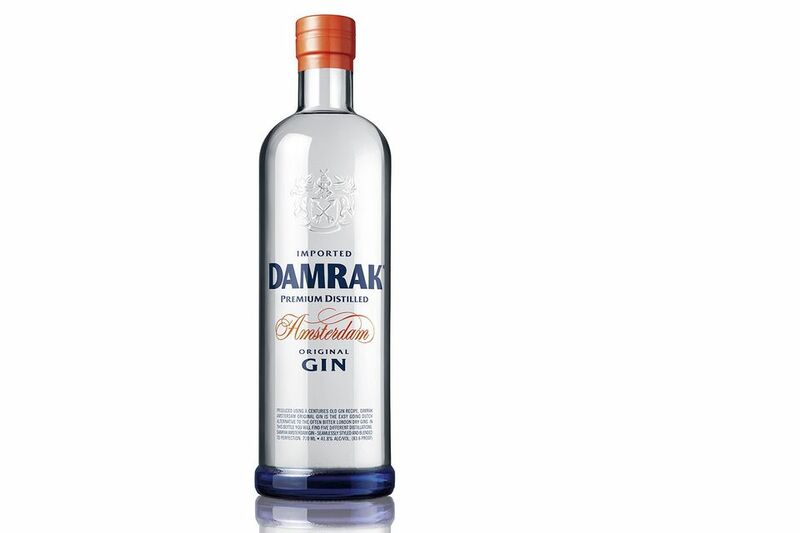 Damrak Gin is an interesting gin that has quickly become a favorite. The Lucas Bols recipe dates back to Amsterdam in the 1700's and is one of the oldest known gin recipes. The name is a tribute to the Damrak, Amsterdam's inner harbor that was instrumental in the Dutch East India Company's trade in the 1500's. The Lucas Bols distillery faces the Damrak and after opening in 1575, they were producing nearly 250 different spirits using the exotic spices brought into the port. Despite its antiquity, Damrak is not what we think of as an old-world Dutch gin such as a genever. It is more of a cross between that and a London dry gin. It is a spectacular gin for a variety of drinks and is exceptionally smooth and has a robust flavor which comes from its 17 botanicals. This is a great Martini gin and its complexity is ideal for many of the classic, clean, gin cocktails. Damrak Gin is very impressive and worthy of a regular spot in the bar. Its blend of botanicals adds a unique complexity to many drinks. The Martini and Gimlet are just two great examples in which this gin really shines. The citrus notes also pair nicely with the orange in an Abbey Cocktail or an Eddy and play off the framboise and ginger ale of a Floradora and the bitterness of Campari in a Negroni. It is in many of the classic, neat cocktails where Damrak shines but those which are more complex—like the Million Dollar Cocktail, Martinez, Emerson—are not quite as ideal. Those drinks can be too dimensional, almost distracting to the taste buds. On the other side, Damrak makes a nice duo base. Try it in a Gin & Tonic, Tom Collins or Gin Buck for a completely new experience. The aroma is strongly citrus with notes of honeysuckle. The robust palate is creamy with a light juniper base and an array of spicy and sweet herbs that sparkle among each other in an ever-changing display. Damrak finishes off with a white pepper snap just to top things off right. Distilled five times with juniper, citrus, honeysuckle and other botanicals (17 in total). A Ready-To-Drink Margarita That We Actually Recommend? No Way! How Many Ways Can You Mix Orange Juice Into Your Cocktails? Why is Bols Genever a Great Cocktail Ingredient?